The fate of two Fanatic favorites, The Resident and 9-1-1, were left unresolved as news of the purchase of FOX by Disney was recently announced. It left fans worried about what would become of the two beloved, adrenaline-inducing series. We can now report you can breathe easy. Michael Thorn, President, FOX Entertainment announced today that both series have received renewals! 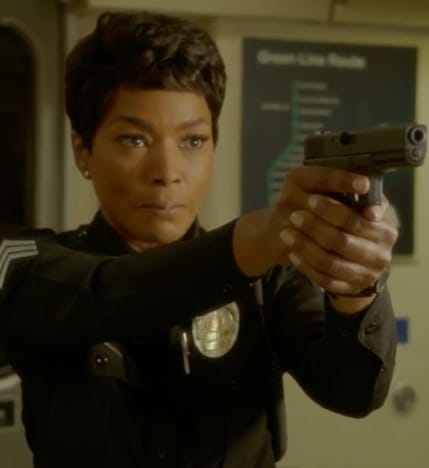 “9-1-1 redefined what a procedural series can be, consistently delivering edge-of-your-seat emergencies, mixed with emotional story arcs and incredible performances from one of the most powerful teams of actors on television,” said Thorn. Averaging 15.4 million total viewers, 9-1-1 is FOX’s #1 drama and ranks among the season’s Top 10 entertainment programs among Adults 18-49 and Adults 18-34, across all broadcast and cable networks. It's a pulse-pounding ride every time it airs. With its ripped-from-the-headlines action sequences, every character gets put through the wringer on an emergency call, raising viewers' tension. Adding to the excitement is a hefty emotional spin giving characters beautiful background arcs and completely investing in the idea that their jobs tie them together in ways those of us outside the scope of first responders will never understand. Thorn added, “Amy Holden Jones, Todd Harthan and the team behind The Resident continue to showcase their brilliant storytelling, revealing both the triumphs and tragedy within the medical world. 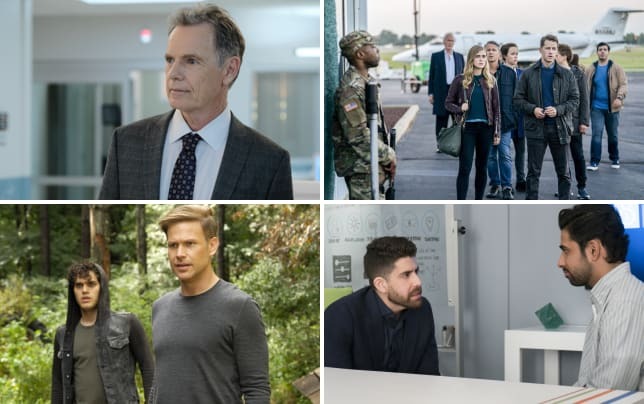 Matt Czuchry, Emily VanCamp and Bruce Greenwood, along with the stellar cast, have developed rich and compelling characters through their heartfelt performances. We Fanatics have fallen entirely for the staff at Chastain Park Memorial Hospital. Whether it's a heart-wrenching performance from Czuchry as Conrad comes to terms with losing another young patient or VanCamp's insistence on going the distance to take down a corrupt superior, we're all in. 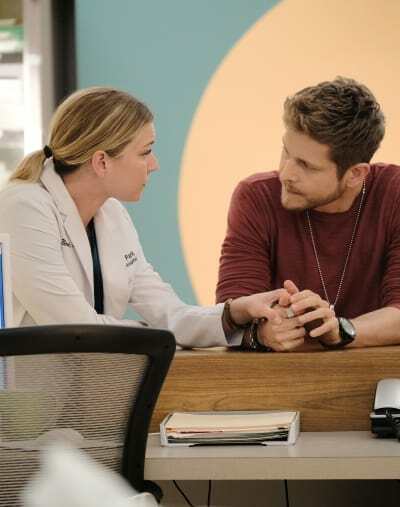 The Resident averages 11 million total viewers, and ranks among the season’s Top 20 broadcast dramas among Young Adults and Teens. This fall, 9-1-1 and THE RESIDENT delivered +24% year-over-year growth for FOX Monday. I can't be the only one hoping that the dual "many" comment from Thorn will mean these stellar additions to the network will be renewed each year with the other FOX series going forward! The good news is the stories ramp up again tonight for all new-episodes!! 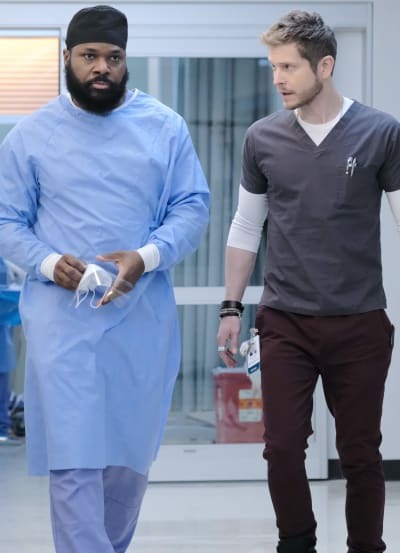 In the all-new “Emergency Contact” episode of The Resident Season 2 Episode 18 airing tonight (8:00-9:00 PM ET/PT), Conrad and Alec (guest star Miles Gaston Villanueva) team up to help a young gymnast experiencing mysterious symptoms. Nic focuses on her sister, who’s back with their estranged father, Kyle (guest star Corbin Bernsen), in tow. Meanwhile, Bell acts as a support for Kit (Jane Leeves) when her ex-husband goes into emergency surgery with the Raptor (Malcolm-Jamal Warner) and Mina (Shaunette Renée Wilson). Also, Chastain picks up the pieces after the fallout with the corrupt medical device company Quovadis, leaving Marshall (Glenn Morshower) ready to chart new territory in the medical field, and Devon (Manish Dayal) to finally discover the truth about what happened to Julian Booth (guest star Jenna Dewan). 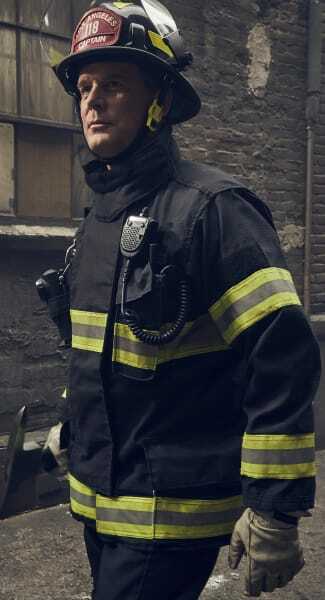 In the all-new “Chimney Begins” episode of 9-1-1 Season 2 Episode 12 airing tonight (9:00-10:00 PM ET/PT) on FOX, the series looks back at how Chimney (Kenneth Choi) joined Station 118 and became the firefighter and paramedic he is today. It's an episode you will not want to miss, trust us. While there is no news on the episode order for either show, we're tremendously pumped about the renewals. What do you think of this news? Do you hope the two shows remain partnered into their next seasons? Be sure to tune into both shows tonight and every week on FOX!! 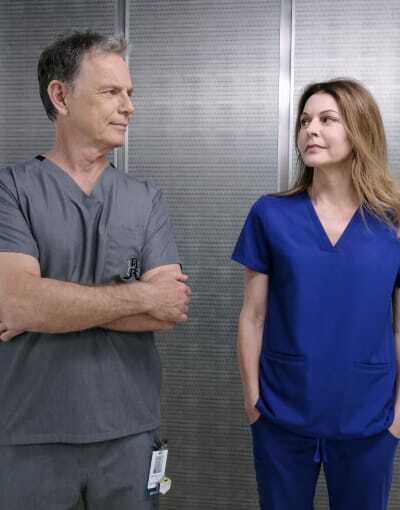 You can watch The Resident online and watch 9-1-1 online if you need to catch up. Now you know it's worth the effort! Conrad: Everything you thought you knew about medicine is wrong. All the rules you followed will break. I have only one rule, it covers everything. I'm never wrong. You do whatever the hell I tell you, no questions asked. Devon: Do you want me to speak now? Permalink: Everything you thought you knew about medicine is wrong. All the rules you followed will break.